You can go travel to Fourni by ferry-boats from Piraeus port, using the routes Piraeus- Paros- Naxos- Agios Kirikos- Fourni- Vathi. Departures from the port of Piraeus are on Tuesdays (at 23:55), Thursdays and Fridays (at 16:00). To return from Fournoi, you will take the ship on Wednesday, Fridays (at 19:00) and Sundays (at 22:00). The trip will take you about 12 hours. The island is also connected with Samos and Agios Kirikos, which is only eleven miles away and from its port you can find daily routes. 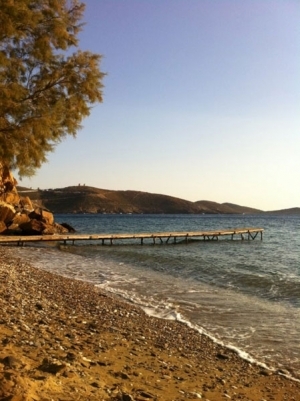 Moreover, you can find routes to Evdilos, Syros, Naxos, Paros and Mykonos. Another way to get to Fourni is by air up to Samos or Ikaria and from there you can take the boat not only to Fourni but to Patmos and Lipsi as well.